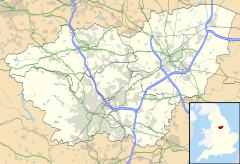 Cusworth is a historic village in Doncaster, South Yorkshire, England, close to the A1(M) motorway. Together with Sprotbrough it forms the civil parish of Sprotbrough and Cusworth. 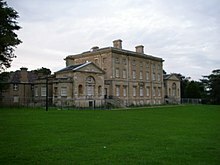 Just outside the village, lies a country house, Cusworth Hall. It has one public house which is The Mallard, on Breydon Avenue/Cusworth Lane. There is a bistro at Cusworth Hall, named Butlers' Tea Room & Bistro. Scawsby and Melton Brand are close-by.